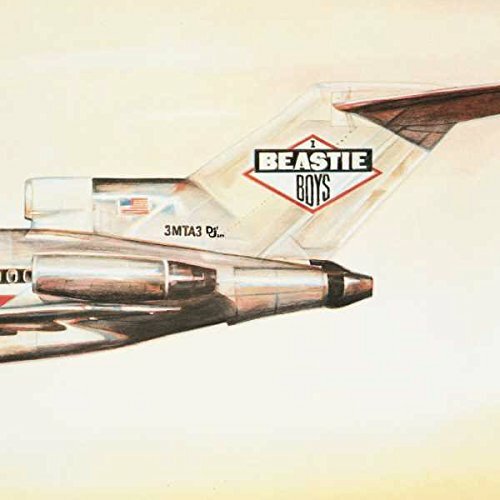 You have to be bold to open your debut album with a sample of Zeppelin’s “Levee Breaks,” and the Beastie Boys have more than enough audacity to do so in Licensed to Ill. Thirty years later, the album appeals to today’s youth as an antithesis to the pop charts with a raucous barrage of boastful humor and ironic frat-boy party anthems. “Fight for Your Right to Party” is still fun as hell to listen to at extreme volumes, especially if you’re annoying your loud neighbors. The Beastie Boys use their obnoxiously snarky punk attitude as an assault weapon against the polite, yet absurd status quo. They represent all the kids with an agenda who don’t care if their noise is bothering anybody. At the time the album was released, very few had successfully married the then-new hip-hop sensibilities with rock. Others had crossed over, such as the collaboration between Aerosmith and Run-DMC, and Blondie to name a few, but none had made the leap as fully as the Beastie Boys. Their genre blending later paved the way for other acts to come, such as Linkin Park, and unfortunately Limp Bizkit. Licensed to Ill was my first CD, and I was proud to bring it to school. My teacher let me play “Brass Monkey” to my third grade class, but she ended up stopping the song prematurely and handing the CD back to me because it “was inappropriate.” I didn’t know why, but in retrospect I don’t think she appreciated me playing a song for the class about an alcoholic beverage. Thirty years after the album’s release, we ask ourselves: does it still hold up? I think if the casual listener takes off their rose-colored goggles and skims through it, they might find it easy to cast the album aside as a product of its time. The 808-heavy and barebones approach to the production does sound very “old-school” by today’s standards. Producer Rick Rubin insured that the raw element of the songs be front and center, and everything is loud without anything getting in the way. The Beastie Boys have a peculiar sense of humor that most people take literally, and Licensed to Ill will likely sound dated if one doesn’t get the joke. If one understands what the mockery is about, then Licensed to Ill still stands up as the legend of the B-Boys who got away with an epic prank.